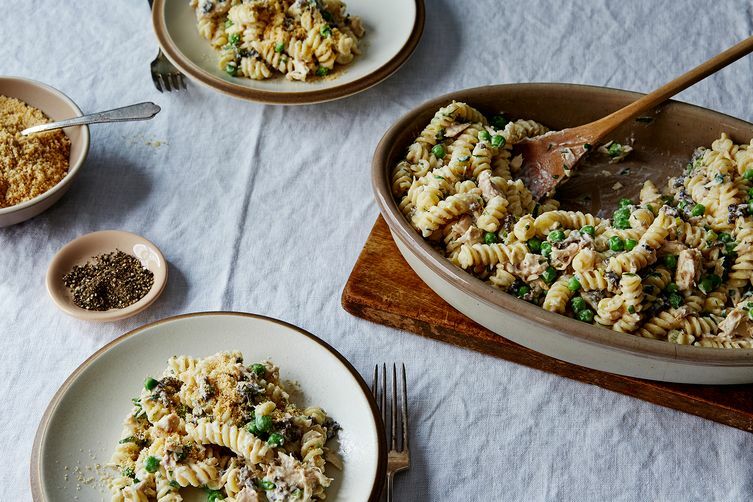 Today: Former Top Chef contestant and chef Fabio Viviani shares with us the five pastas that are always in his pantry—and should be in yours, too. When Fabio Viviani visited our offices this past winter, he had a thing or two to say about cilantro. Fabio recommends spaghetti, possibly the most recognizable pasta, with tomato and basil sauce, carbonara, or seafood—as long as you don't break it. "If you are a person who has to cut spaghetti and eat it with a fork and spoon, I hope you never eat pasta again for the rest of your life! Poor spaghetti." Once you've put your perfectly pristine, unbroken spaghetti into the boiling water, he said to adjust the salt based on the dish you're making. Fabio suggested keeping the water salt-free if you're pairing the spaghetti with an already heavily-seasoned sauce like pesto, but adding some salt when making a cheese or simple tomato sauce. One of Fabio's favorite things about penne is its versatility: He favors it with a four-cheese sauce with sausage or meat sauce. He said, "The fact that penne are hollow helps them collect and hold sauce very well." More: Fabio loves making baked pasta for weeknight meals because you can "make a big batch and freeze it, then reheat it for fresh pasta." According to Fabio, fusilli is for one thing and one thing only: "You can only make fusilli with pesto. Any other way [of serving it] is a waste of time." He suggested using a pesto that has a lot of pine nuts. 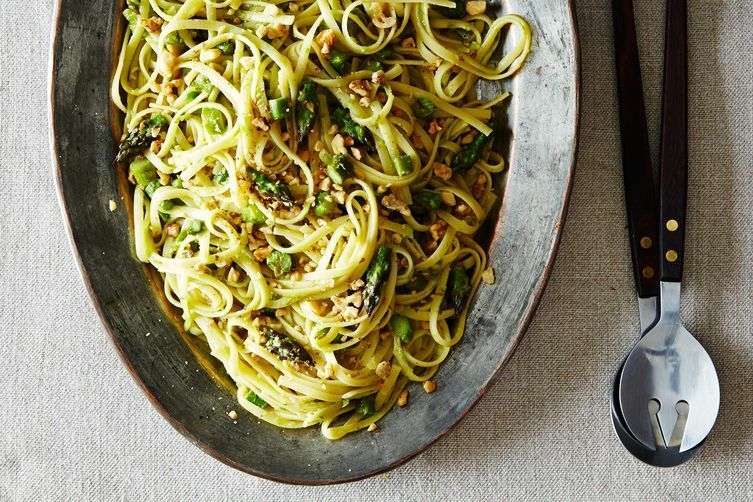 "The pine nuts fit perfectly between the curls, and the greens of the pesto fill the gaps in the pasta." 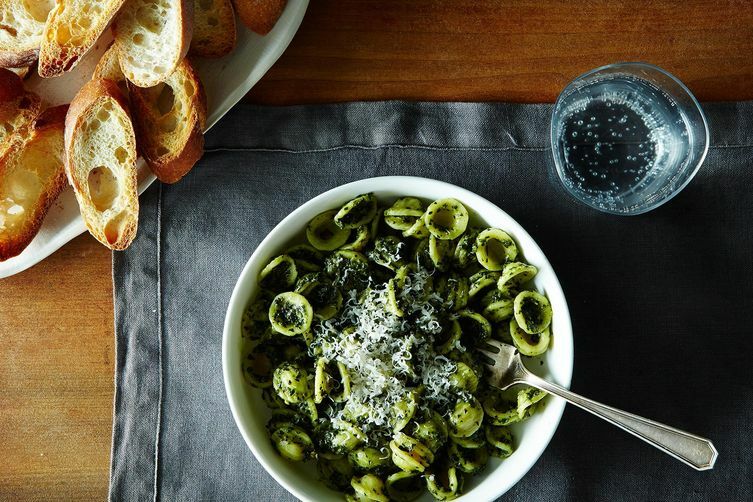 The shape of orecchiette, or "little ears" in Italian, is perfect for holding chunky, creamy sauces. Fabio recommends it with sausage and chopped broccoli. If he's being honest (which he always is), Fabio doesn't care much for farfalle, "but it's good for kids." Rigatoni, on the other hand, is one of his favorite types of pasta. 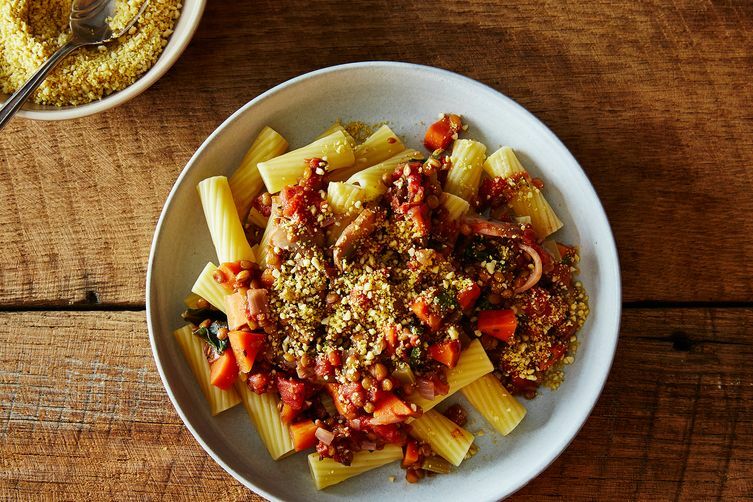 He said, "Rigatoni uses the same principle as penne, but they're wider so they're perfect for chunkier dishes with things like diced pancetta and diced tomatoes." What sauce do u recommend for pesto saccotinis? He forgot to mention Chef Boyardee for those times you're in a hurry! I agree with Fabio, I am not a fan of farfalle. I can never get the pinched middle to cook properly without making the flat edges too soft! 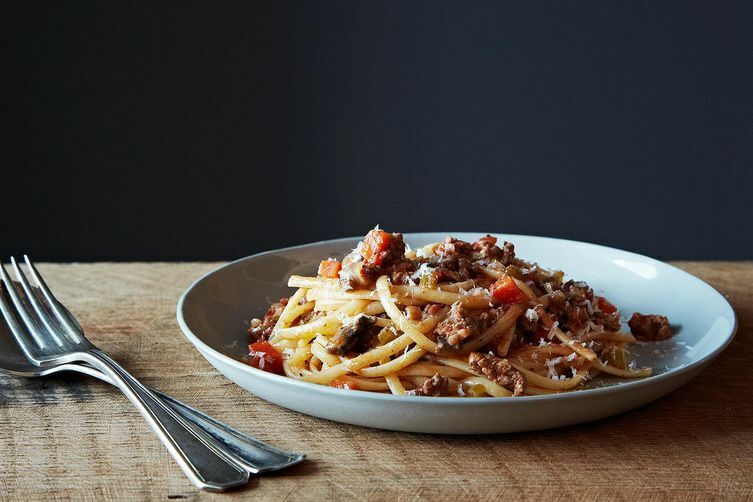 It's rigatoni for our family (and that includes the kids too). The author didn't mean that farfalle is the same as rigatoni; the suggestion was to keep farfalle on hand instead of rigatoni if there are kids in the house. sorry for being the red red pencil teacher, but rigatoni is not farfalle. 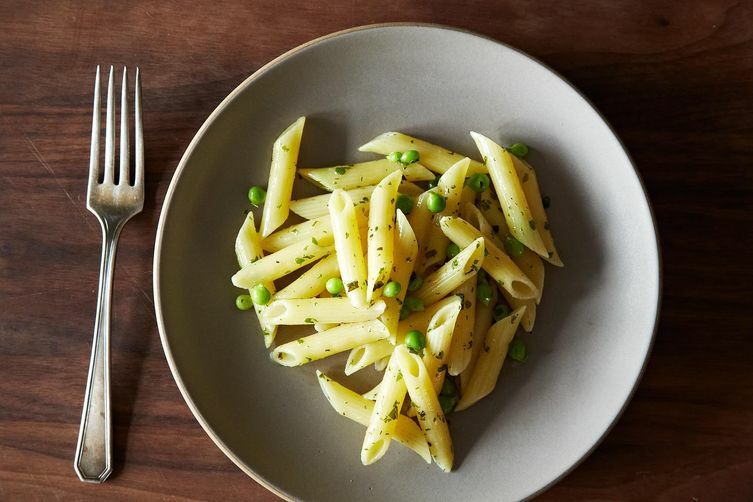 Here in Italia rigatoni is the pasta sized you picture on this post. BUt farfalle (butterflies) are a different shaped king of pasta. Farfalle here in Italy is thi https://it.wikipedia.org/wiki/Tipi_di_pasta#/media/File:Farfalla.jpg . No need for the red pencil! They definitely aren't the same thing—Fabio suggests farfalle if you have children, and rigatoni if you do not! Farfalle for kids? No. One doesn't need both rigatoni and penne at all times. Keep farfalle on hand because it works best with greens. The flat surface holds and distributes the greens better than any other shape of pasta. Nothing faster and more satisfying that farfalle with collards, spinach, chard, etc. tossed with a bit of good oil, salt and pepper.